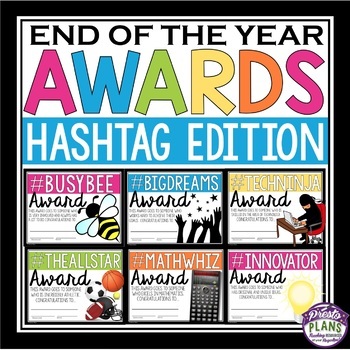 END OF THE YEAR AWARDS HASHTAG EDITION: End your school year by giving your students these 30 ready-to-print awards! 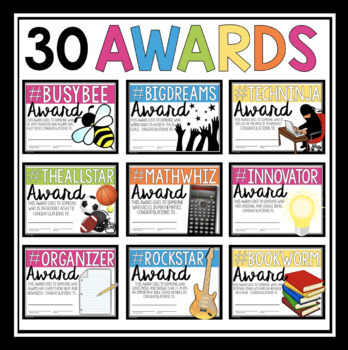 Each of the award titles include a hashtag (Examples: #BUSYBEE, #BIGDREAMS #TECHNINJA, #BOOKWORM etc.). 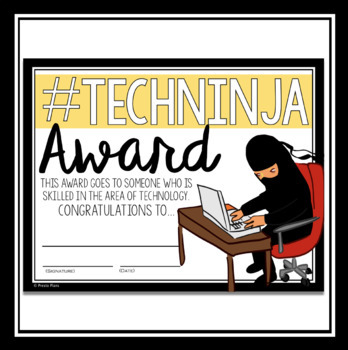 An explanation for why the student is receiving the award (related to the hashtag) is also included on the certificate. All you have to do is print, sign/date, and you are done!